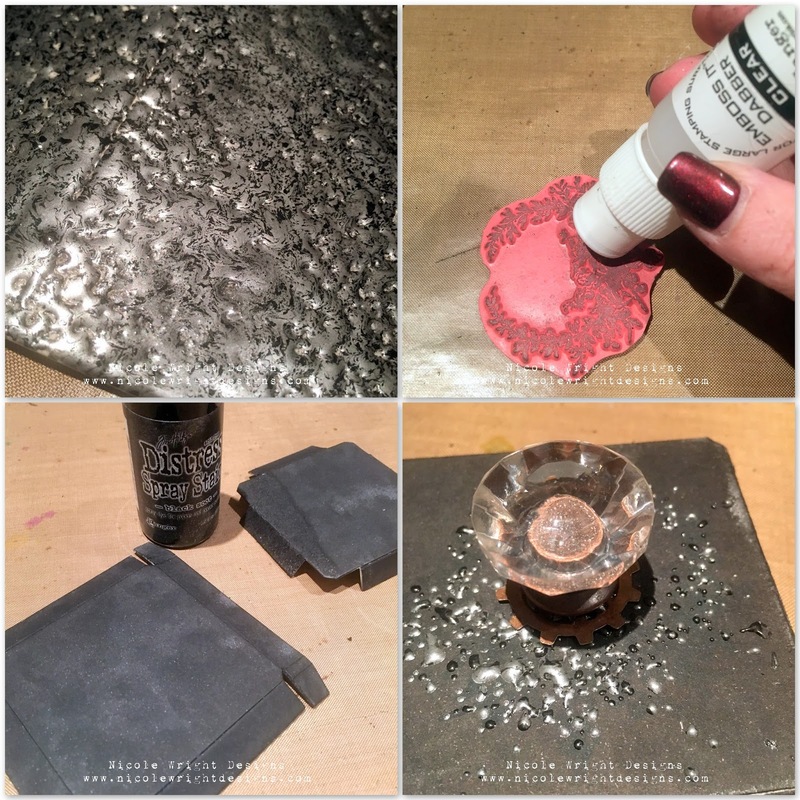 I was really wanting to make a metallic looking canister...so I did. Using the Eileen Hull Canister die to create this cat treat container is perfect. 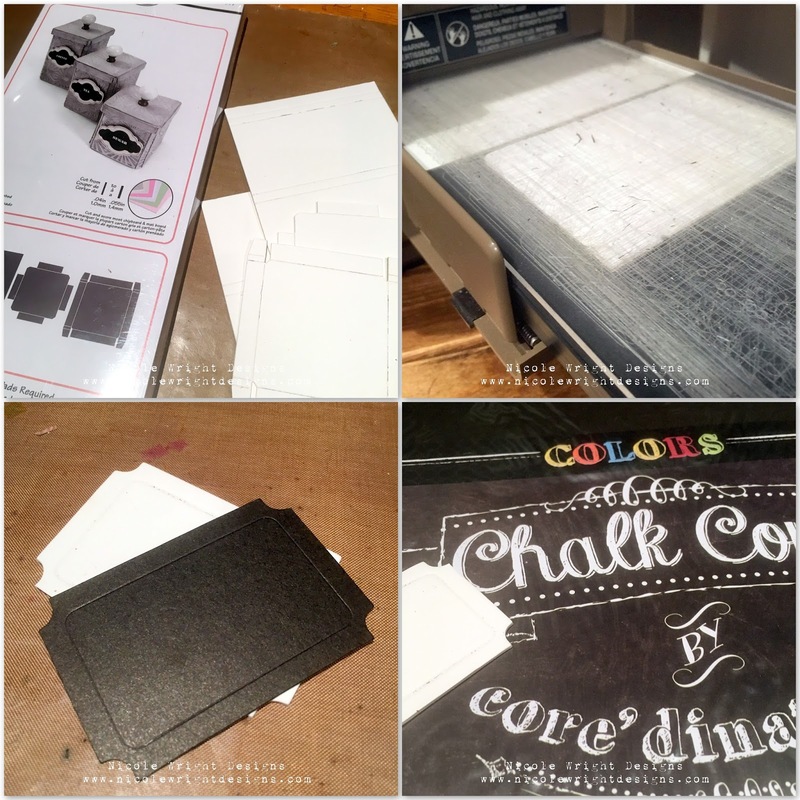 I cut the pieces out for the canister and cut the mini ticket with mat board and this Core' dinations chalk board paper. I covered the canister cut pieces and coated it with my versamark pad. Sprinkle the Hammered Metal Embossing Powder, heat and repeat for a thick effect. Look at how thick it turns out. I wanted the try stamping the top. 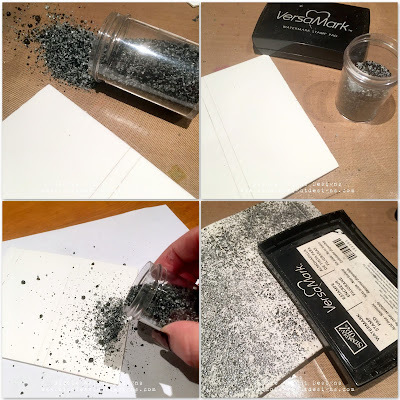 This is NOT a fine detail powder but I am experimenting. Here's the issue... it's not fine detail so there is no defined stamp image. Here's whats cool... there's no definition so you have this cool random splattering of metal. Without a big blob. I topped it off with some embellishments and a flower. The chalk paper works pretty well considering my poor writing. Look how this turned out. I added the new Paper Flower Party die Heart and Soul to the top along with the glass knob and metal gear. Attached is the metal button brad with some twisted citron distress crayon to pop. 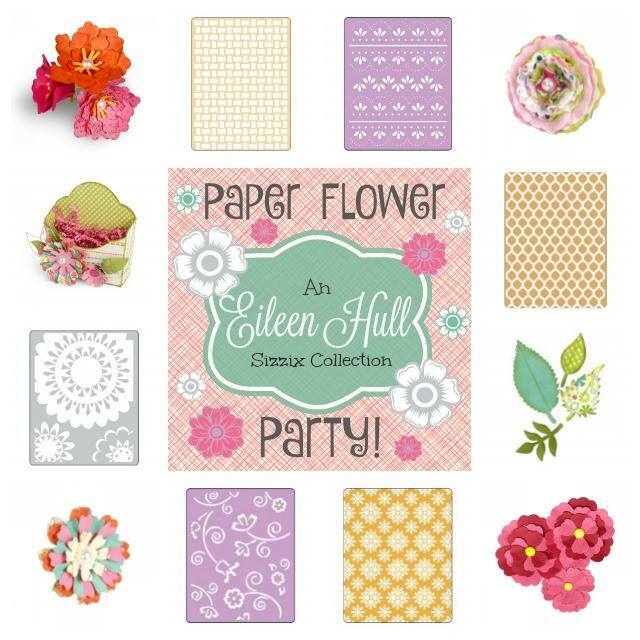 Be sure to pop into Eileen Hull's Blog to see more used with the new release of the Paper Flower Party dies releasing in May!